Earn $11.00 in VIP credit (1100 points)What's This? 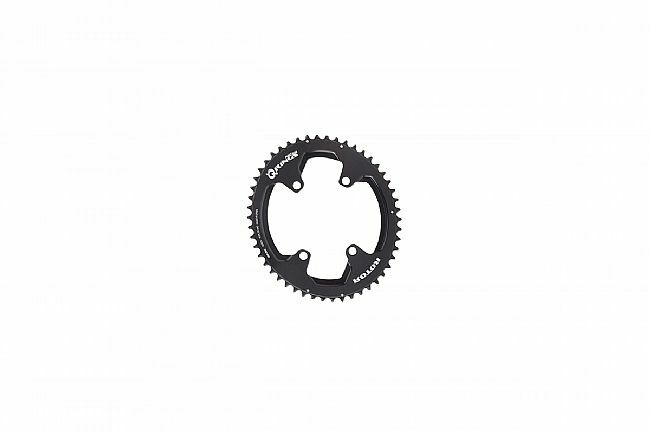 The Q-Rings 110x4 Asymmetric BCD Outer Aero from Rotor feature 10% ovality and Rotor's Optimal Chainring Positions design which enables each rider to setup the ring to fit their own pedaling style. Combined, these desgin features increase pedaling efficiency and overall performance. For lightness and lasting durability, the rings are constructed of CNC-machined aeronautic-grade 7075-T6 aluminum alloy and steel shifting pins. The 110x4 Asymmetric BCD Outer Aero Q-Rings are compatible with 9, 10, and 11 speed groupsets. Weight: 133g per set (52/36). Number of Teeth: See drop down menu.